Most New Mexican boxing fans have probably never heard of Australian junior middleweight Daniel Dawson. That will change later this week when the Aussie takes on our state’s best boxer, former WBA Super Welterweight champion, Austin Trout of Las Cruces, in the main event of the ESPN Friday Night Fights season finale at the Pechanga Resort and Casino in Temecula, California. This will not be the first high profiled fight of Dawson’s career. In 2010, he trained with Justin Fortune in the trainer’s West Hollywood gym. During his 13-months there Dawson had five fights fall out, most due to injuries one on side or another, on one occasion a blizzard prevented an opponent from flying into weigh-ins. That and along with the news of the death of his father was enough force him to plan a return to Australia. 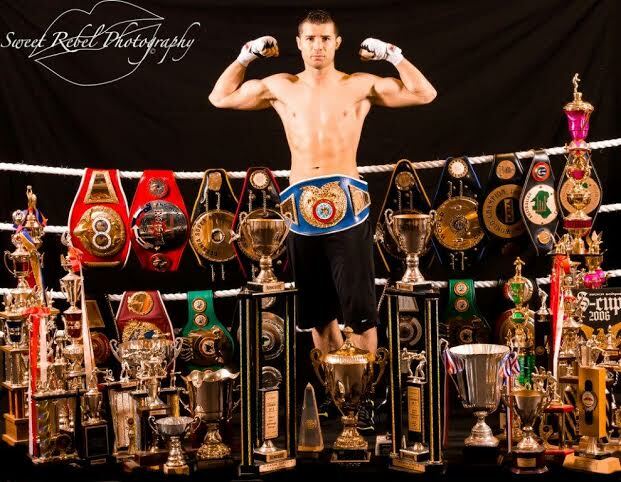 Daniel Dawson is a 7-time kickboxing champion and holds almost 100 total wins in boxing, Muay Thai and Kickboxing. Before his departure, Dawson received a call where he was asked to take on then WBO Light Middleweight Champion, Serhiy Dzinziruk on 10-days notice as the main event on Showtime. Once back in Australia, Dawson, would battle depression and lose his next fight to the lesser experienced, fellow Aussie, Frank LoPorto. Boxing has been in Dawson’s DNA since he was 15 and he would use it to help battle his depression. Two months after the LoPorto loss he would win a unanimous decision over Jason LeHoullier and would go unbeaten in his following six bouts forcing U.S. promoter’s eyes to glance over across the Pacific. His bout on Friday against Trout (26-2, 14KOs) serves as a crossroads fight of sorts as the streaky, 36-year-old Dawson, faces a dangerous Trout who is coming first two losses of his respective career. Dawson himself has not only fought the hard fights in boxing but has also done so in Muay Thai and Kickboxing where he has claimed seven world titles. He has compiled 93 wins throughout his combat sports career. Win or lose against Trout, Dawson has made it a goal to reach 100 total wins and hopes to be impressive enough on Friday to where he receives more chances to fight in the United States. Going into Friday’s bout Dawson will be a 9 to 1 underdog.